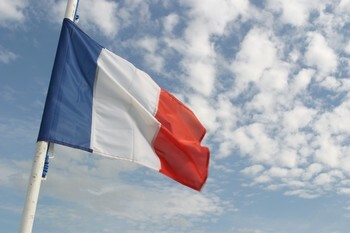 France is the most visited country in the world! With its cafe culture and charming capital city, France is the perfect destination for city breakers, beach goers and more. And now it has emerged that travellers the world over have caught on to the delights of la vie francaise, with France emerging as the most visited destination in the globe. This is according to data from the UN World Tourism Organisation (UNWTO) which revealed that the country known for its gastronomy and easy-on-the-ear language took the number one spot in a ranking of the world’s top tourism destinations. Their figures show that a staggering 84.7 million holidaymakers visited France last year, a figure that has increased by 2% in a year-on-year comparison. Earlier this year Paris (7th) also took its place among the top ten destinations in the world as voted in the 2014 Travellers' Choice Destinations awards. The main reasons cited for travelling included heading away for leisure (52%) travelling to see friends, family, health, religion or another reason (14%) and business travel (14%). More and more people exploring the globe -Further figures from the research showed that the number of tourists travelling the globe rose by 5% between 2012 and 2013 to a figure of 1.087 billion. The UNTWO forecasts that the number of people travelling internationally will climb to 1.8 billion by 2030. If you are heading off on holiday to see other parts of the globe it is important to organise worldwide travel insurance in advance.